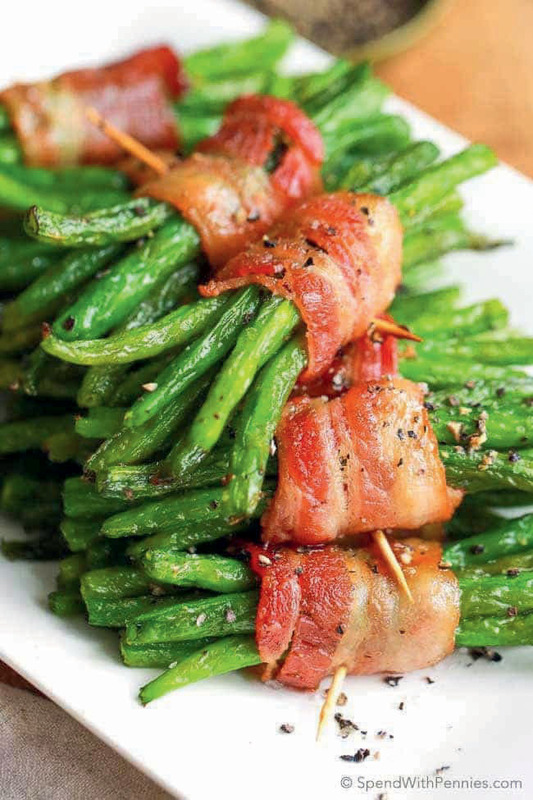 Green Bean Bundles | Louisiana Grown | Real. Fresh. Preheat oven to 350 F. Place bacon in a large, deep skillet, cook over medium-high heat until partially cooked (still soft). Drain, cut each piece in half and set aside. Bring green beans to boil. Cover with a lid so the steam does not escape. Steam until green beans are done. Take 4 or 5 beans and wrap them with a piece of bacon. Secure with a toothpick. Place bundles in a shallow baking dish. In a saucepan over medium heat, combine Worcestershire sauce, soy sauce, butter and brown sugar. Stir until sugar is dissolved. Pour sauce over the bundles and bake for 20 minutes or until bacon is done. Remove toothpicks before serving.